Disclaimer: I received an e-copy of this book from NetGalley and HMH Books for Young Readers in exchange for an honest review. 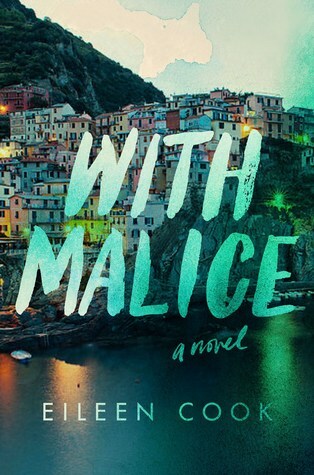 Synopsis: Eighteen-year-old Jill Charron’s senior trip to Italy was supposed to be the adventure of a lifetime. And then the accident happened. Waking up in a hospital room, her leg in a cast, stitches in her face, and a big blank canvas where the last 6 weeks should be, Jill comes to discover she was involved in a fatal accident in her travels abroad. She was jetted home by her affluent father in order to receive quality care. Care that includes a lawyer. And a press team. Because maybe the accident…wasn’t an accident. Wondering not just what happened but what she did, Jill tries to piece together the events of the past six weeks before she loses her thin hold on her once-perfect life. I really wasn’t sure what I would think of this book as I’m not usually one for mystery, but when I saw it on NetGalley and found it’s also a contemporary, I thought I’d give it a go. And surprisngly, I liked it! A compelling, well-written YA book – one I couldn’t stop thinking about! The plot…is so intruiging! I constantly wanted to know what was going to happen to Jill and what she outcome would be for her and Simone. The characters…I found so clever. As a reader you have every reason to dislike Jill, but I just couldn’t. This book is so honest, I felt like I could really see into Jill’s head! The writing…as I mentioned above, is so honest and raw. A beautiful kind of raw, one I very much admire. I felt everything along with Jill as she remembered…and that’s what a book should do. Something I liked…the setting! I love the fact that this book was (partly/sort-of) set in Italy, even the idea of it appeals to me. Something I disliked…the only thing I could say is I would have liked to have had more of a solid outcome. I felt the ending was a little rushed, and I just wanted to know for sure what happened that day.